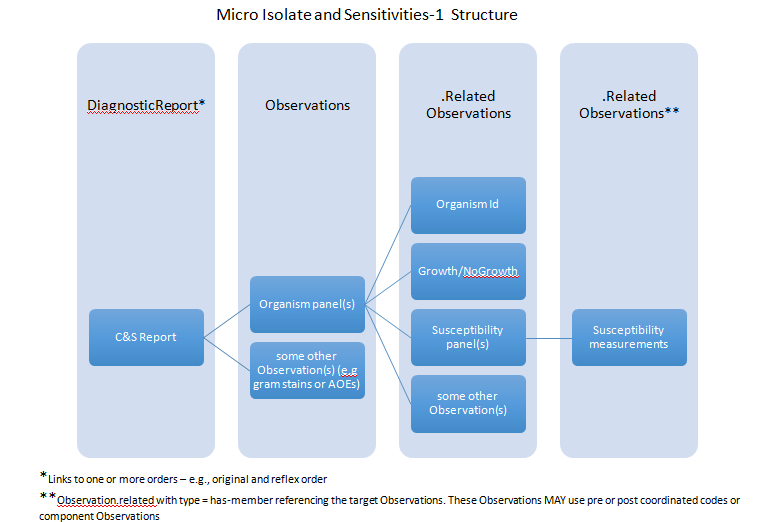 Micro Isolate and Sensitivities-1: An example of a complex Micro Isolate and Sensitivities with 2 level nested Organism and Susceptibilty panels using the related Observation Structure. The following diagram is provided above to help teh reader navigate the nested structures. 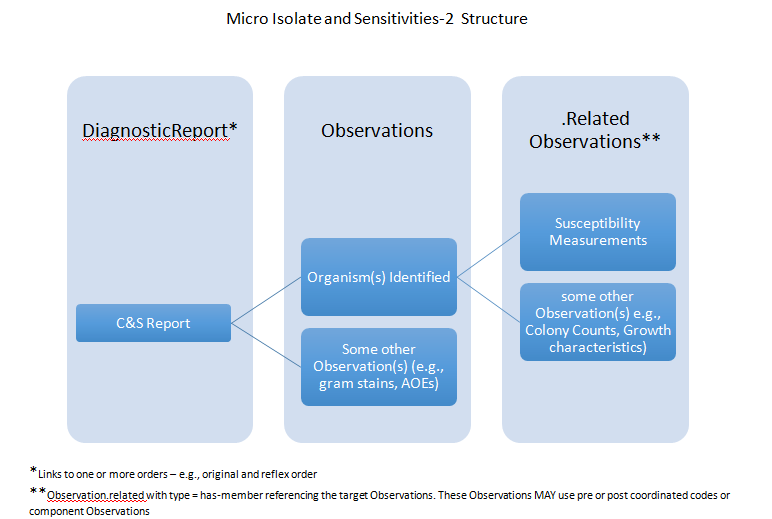 Micro Isolate and Sensitivities-2: An collection Bundle showing an example of a complex Micro Isolate and Sensitivities based on the HL7 V2 Lab Reports Interface (LRI) example. This example has a single level nested Organism panels using the related Observation Structure. The following diagram is provided to help the reader navigate the nested structures.